Since 1999, Nissan has been part of the Renault–Nissan Alliance, a partnership between Nissan and French automaker Renault. Their mission is to enrich people’s lives, building trust with our employees, customers, dealers, partners, shareholders and the world at large. Nissan graced us again this year with their 2nd $5000 donation in as many years. Thank you, Nissan ! DENSO is one of the largest global automotive suppliers of advanced technology, systems and components. They consistently rank at the top of the automotive industry for patents generated each year. In this 3rd year of sponsorship, DENSO provided us with a very generous gift of $5000. Fiat Chrysler Automobiles is the result of the merger between Fiat and Chrysler. We also know them as the Chrysler Foundation. They helped us considerably, giving us $4,475 and providing a mentor to aid the robotics team in learning and constructing machinery. This is their 3rd season of sponsorship for us! The Ford Motor Company has a long history of supporting robotics programs at all grades. By helping to inspire young, innovative students, the FRC® motivates them to consider science, technology, engineering and math education and opens doors to STEM careers. Ford has granted our team $3000 for the 2018 season. 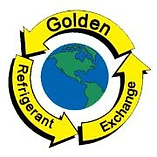 Golden Refrigerant is a refrigerant distribution and reclamation company that provides homes and businesses with refrigerant needed for refrigerators and freezers that keep our food and water fresh and cool. They’ve been a great help to the communities around them, including us because they also donated $1500 to our Robotics Team for the 3rd consecutive year. Pratt & Miller’s world-renowned motorsports operation has evolved into an innovative, full-service engineering and low volume manufacturing company. Pratt & Miller is proudly serving the Defense, Automotive and Powersports industries; and us, with a $2500 donation in their 3rd year of sponsorship. Thank you, Pratt & Miller. Magna Powertrain is the world leader in the design and development of automotive systems for 4×4 and AWD applications; oil, vacuum & water pumps, engine cooling; driver awareness (vision) systems, electronic controls; and double clutch transmissions thru GETRAG. Magna Powertrain rescued our 2016 season with a just-in-time donation and provided another $1800 for the 2018 season. For over 60 years, H.H. 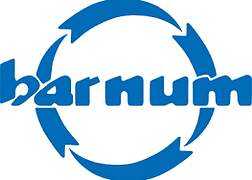 Barnum has been dedicated to innovation and quality to its valued customers and employees. Headquartered in Brighton, MI, they are a leader in products, solutions and controls for factory automation. In their first year of sponsorship, H.H. Barnum donated $1000 to keep the Toasters running smooth. Kawasaki Robotics is a leading supplier of industrial robots and robotic automation systems with a broad product portfolio, able to service a wide range of applications all around the world. Material Handling, Painting, Dispensing; Kawasaki has a robot for almost any application. We are proud to put Kawasaki Robotics $1000 donation to work on our robot. Laser Mechanisms is the recognized world leader in the design and manufacture of laser beam delivery components and articulated arm systems. Their products are used in every type of industrial application including cutting, welding, drilling, scribing, surface treatment and other processes; using every type of laser, including CO2, Nd:YAG, Fiber Lasers and more. Their $1000 donation will help the Toasters stay laser focused on the competition. Ventura Aerospace is an aerospace component manufacturer specializing in precision, complex machining and assembly to six decimal accuracy (millionths). Services include turning, milling, grinding, lapping, finishing, assembly and testing of diametrically matched valve, sleeve and housing assemblies. The Toasters hope to achieve these high standards with Ventura’s $1000 donation. United Dairy Industry of Michigan, Inc. 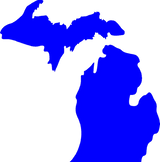 The United Dairy Industry of Michigan (UDIM) is the umbrella organization for the Dairy Council of Michigan and the American Dairy Association of Michigan. They are dedicated to serving Michigan’s hard-working dairy farm families. The Toasters are very proud to have UDIM as a sponsor. Spectrum Automation designs, develops, and manufactures specialty parts feeding and material handling systems for such diversified fields as automotive, farm implement, fastener, medical, hardware, food and beverage, aerospace and munitions industries. Spectrum Automation was able to help us by donating $1,000 for the 2nd year. To support the State Board of Education’s mission in making “All students graduate ready for careers, college, and community,” the Michigan Department of Education (MDE) staff has developed a structure to award the $2,000,000 appropriated under Section 99h of FY 2014 State School Aid to public school districts and public school academies to support students in grades 7-12 through participation in middle school FTC and high school FRC. Cybernet has been a financial sponsor for the 2011, 2012, 2013, 2014 and 2015 FIRST seasons. They continue to supply us with our head mechanical mentor, Jim Burkowski. In this role, he is developing the next generation of CAD designers and machinists through hands-on mentorship. The Toasters would not be who we are today without Jim. South Lyon Community Schools is our largest non-monetary sponsor. They supply us with a meeting location, run publicity for us, allow us to do fundraisers for our team and community charities in house, support us at our competitions by cheering, and listen to our message of STEAM when looking over the curriculum. Solidworks has provided the Toasters with free access to their excellent CAD software since 2012. With it, we create models for our robot, calculate the expected weight, and print out dimensioned drawings for parts to be made. Solidworks provides enough licenses for every student on the team. SGS Advanced Testing & Engineering, Inc.